Strong image. Nice copy. Shame no urgent call to action here. 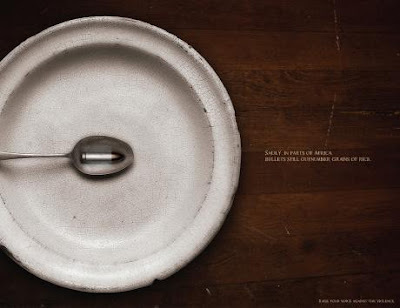 The copy reads "Sadly, in some parts of Africa, bullets outnumber grains of rice".